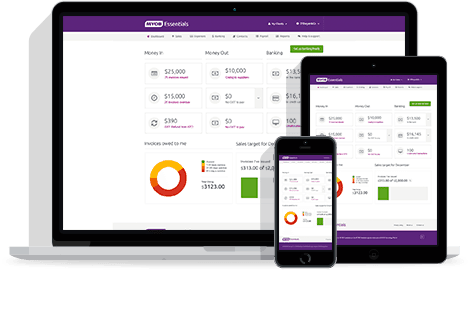 The MYOB Essentials Accounting & Payroll course is designed to provide the skills and knowledge to allow participants to effectively use this popular software package. (MYOB Essentials is a Cloud software package that is separate to the AccountRight software). If you are using MYOB AccountRight, AccountRight Plus or AccountRight Premier please click here for the relevant course. Very Informative. It gave me some tips to apply to my use of MYOB Essentials. Well planned and executed 1 day MYOB course covering many features of Essentials. Good interaction in class and nice handy location. Easy to follow, also appropriate if you have limited experience in this area. Very comfortable environment. Yummy free lunch too. I have been very happy with the content and presentation of this MYOB Essentials course. It is well presented with a flexible approach, even allowing for “individual” tuition. I am looking forward to applying my new learnt skills as I believe I have been well coached. Thank you. Very good MYOB essentials course, easy to follow and understand. the MYOB sssentials course itself was easy to understand and very helpful for someone without any experience but it wasn’t all that helpful because I kind of knew most of what was going on anyway.The introduction went for a bit to long I think. Marnie was very nice and friendly and everyone else was friendly. Found Marnie our teacher for the day to be very approachable and easy to understand. If you have even a little bit of understanding of MYOB Essentials i think this course is a little basic. Maybe it just wasn’t really the right course for me to choose. Great location and very friendly place, lunch voucher, tea and coffee, etc included. Thanks Applied Education, Marnie was a great trainee, she was thorough and explained the MYOB Essentials course clearly. I will definitely return to AE for other courses. Very helpful and informative course. Well planned and explained course on MYOB Essentials. Thank you would recommend to others. This course is really helpful, and Marnie is really patient for answering every questions we have asked. Unfortunately it was the wrong course for me. Will now have to come and start again, Marnie obviously very competent. I found the course really helpful and it is perfect for small business. I attended the class of Ms.Marnie Dalwood , she delivered the MYOB Essentials class in the best way anyone would understand and enjoy. it was well explained and great benefit. 🙂 thank you would recommend others too. Course was very informative & well paced. We were able to taylor the course to our needs & ask questions at will. Very supportive learning environment. Overall very pleased & of great benefit. We run a small business and have just moved to MYOB essentials. I found the course very beneficial.